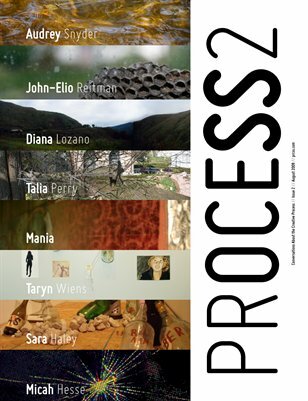 PROCESS Magazine is a collection of transcribed phone conversations between myself and artists that I know about what they're working on, how they do it, and most importantly why. 80 full color pages of creative conversation and gorgeous new artwork! Audrey Snyder, John-Elio Reitman, Diana Lozano, Talia Perry, Mania, Taryn Wiens, Sara Haley, and Micah Hesse. PROCESS Projects (http://prcss.com) was created to connect artists, philosophers, and creative minds, and to keep a dialogue going about what creativity means today.